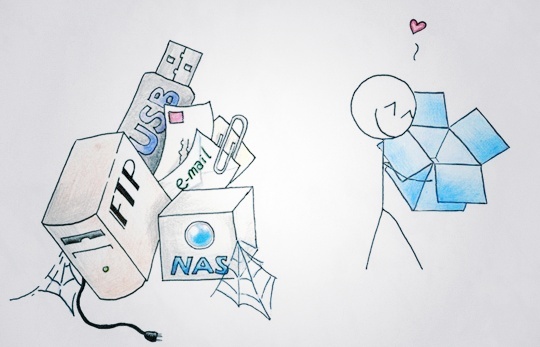 Dropbox has long been king of sharing and storing files in the cloud, likely because of its simplicity of design. Now, the storage giant is making it easier than ever to share folders with friends, thanks to its new integration with Facebook. To get started visit this page and connect your Facebook account. Then, search for and select a friend, and they’ll automatically be invited. Integrating with Facebook definitely ups the ease of use for many users, as it can be a hassle to manually copy and paste in emails. Perhaps more importantly though, is the fact that Dropbox will likely reach an even larger audience due to this integration. One detail that’s interesting is the name of the file being shared in the screenshot: “gif lolz,” which suggests that Dropbox is looking to encourage more casual sharing through its service. Overall, it’s a simple and positive move for the company, so long as you don’t have any issues with connecting other sites with Facebook. If you happen to be touchy about your data, there’s no need to fret over the changes.